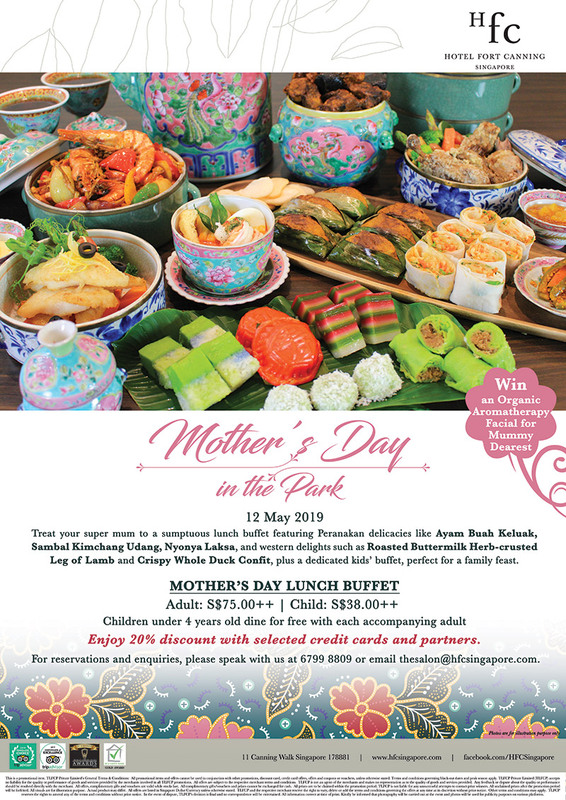 Mother's Day Lunch Buffet : Adult: S$75.00++ | Child: S$38.00++ Children under 4 years old dine for free with each accompanying adult. Enjoy 20% discount with selected credit cards and partners. Win an Organic Aromatherapy Facial for Mummy Dearest.